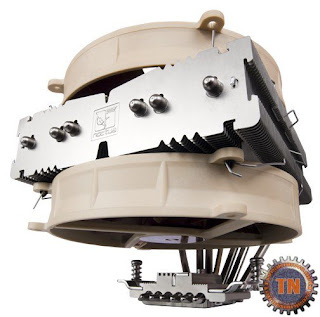 Noctua's NH-C14 is a huge cooler, both in physical size and performance. The build quality is excellent and the mounting solutions are very robust and easily installed. I particularly like the fan clip design and implementation. With two included fans, a feature rich accessory package including LNA and ULNA fan speed reducers, a screwdriver and an enameled metal case badge, the NH-C14 would seem to be a dream product for the enthusiast/overclockers among us. Even better, the two large fans allow this behemoth to be very, very quiet, given the excellent cooling performance. As I expected, the “C” configuration resulted is a minor performance hit, particularly in overclocked environments with the fan speed reducers employed, but you get improved motherboard component cooling and easier installation in the bargain. AMD today announced the launch of the fastest graphics card in the world, the AMD Radeon™ HD 6990, packing so much raw performance it delivered a new single graphics card world record score of P11865 in the industry standard 3DMark11 benchmark. 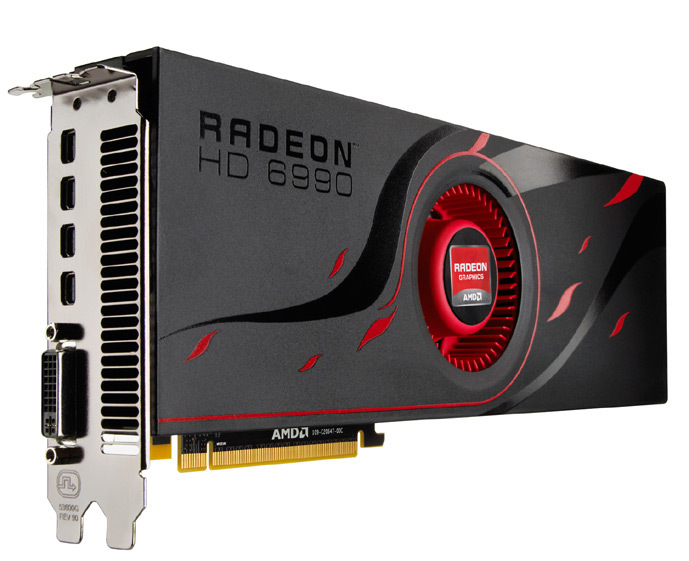 AMD Radeon HD 6990 graphics cards are available immediately from retailers worldwide, with select models starting at US $699 MSRP. Designed for the power gamer, AMD Radeon HD 6990 graphics cards include AMD’s second-generation, Microsoft DirectX® 11-capable architecture, advanced image quality features for the best looking games, and AMD PowerTune intelligent technology to enable higher clock speeds and faster gaming. 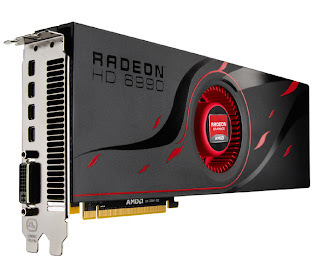 The AMD Radeon HD 6990 offers the ultimate in immersive HD gaming and computing with native support for up to five displays using AMD Eyefinity multi-display technology, with six display support possible via DisplayPort components available for purchase later this year. The AMD Radeon HD 6990 graphics cards also feature a dual-BIOS toggle switch, allowing enthusiast gamers to unlock the card and rev up the clocks and voltages for even more performance. Finally, AMD HD3D technology provides a cutting-edge stereoscopic 3D gaming and movie experience, thanks to HDMI 1.4a support. 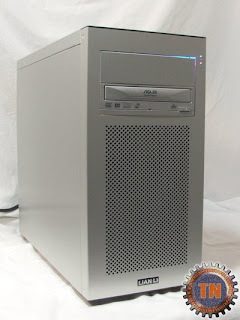 : "AMD has fitted this video card with an array of display options. Firstly, they have utilized one entire row of the backplane to the cooling vents to exhaust air. AMD could have shortened these vents to allow more display options, but then the video card would not have had the cooling it needed. The bottom row on the backplane has one DVI port and four mini-DisplayPort connectors of the 1.2 version. If that one DVI port scares you, don't let it. AMD told us that in every retail boxed Radeon HD 6990 video card package you will get three adapters."